I hope you enjoyed your Labor Day Weekend. As summer comes to a close and we move into the Fall, it's time for New Jersey to gear up to get back to work. Although the Legislature was in recess during August, I participated in the annual Joint Legislative Hearing of the Senate and General Assembly Environment Committees. This year our hearing focused on the future of plastics, single-use plastic bags, and recycling in New Jersey. All of these topics have been a major focus of mine this year, and it is my goal to address them in a practical, effective way rather than turning to a new tax or ban. I look forward to continuing to make progress on these issues. August also brought some of the worst flash flooding our district has seen this decade. The towns of Little Falls, Cedar Grove, and Woodland Park were hit the hardest in our area. Our district reports the highest rate of severe repetitive flood loss than anywhere else in the state, but our calls for assistance have gone unnoticed. 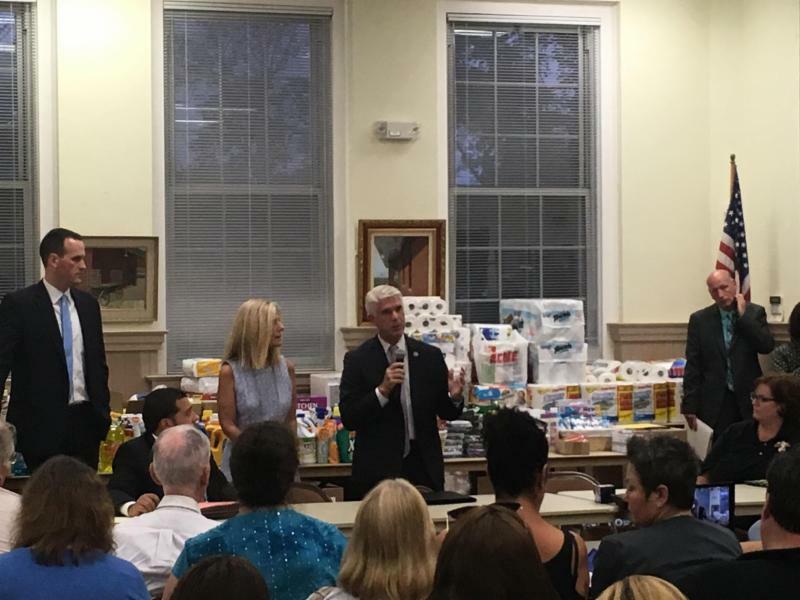 We are now working with our partners on the local, state and federal levels to provide relief assistance to those who need it most, and set up programs to mitigate flooding in the future. Other news from the District is included below. I've also included a brief section detailing September's observance as National Preparedness Month, and background on Patriot Day as well. 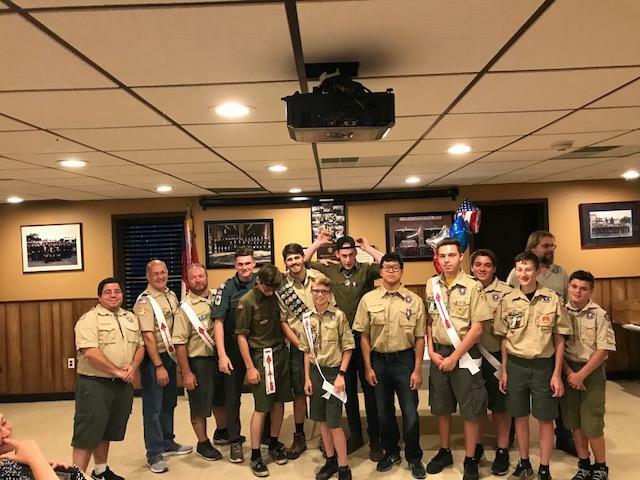 Finally, our Spotlight feature this month highlights Boy Scout Troop 14 of Little Falls. I hope you enjoy this month's Quorum Call , and have a happy start to your fall! Mix the spices, garlic, lemon zest, lemon juice, 4 tablespoons of yogurt, about 2 tablespoons of olive oil, and salt and pepper (to taste) together in a bowl. After the ingredients are mixed evenly a dd the chicken thigh fillets. Work the marinade into the chicken and ensure every exposed part of the fillet is thoroughly coated. Cover the bowl with plastic wrap and allow to marinate for at least one hour, up to overnight, in the refrigerator. Drizzle a little olive oil into a large frying pan set over medium heat. When the oil is hot, add the chicken - reduce the heat if the thighs begin to cook to quickly. Fry gently until the thighs have a nice, deep golden-brown crust and are cooked through, about 10-12 minutes on each side. When done, remove and cut the thighs cross-wise very thinly. To serve, lay flatbread or pitas on a work surface. Spread Greek yogurt across the surface of each (using the 3/4 cup). Place a line of tomatoes down the middle. Stack some shredded chicken over the tomatoes, then follow with the chopped onion, cilantro, and a few slices of pickled cucumbers. Fold up the bottom of the flatbread, then fold over the sides to enclose the filling as tightly as possible. Repeat with the remaining flatbreads and filling, and enjoy! 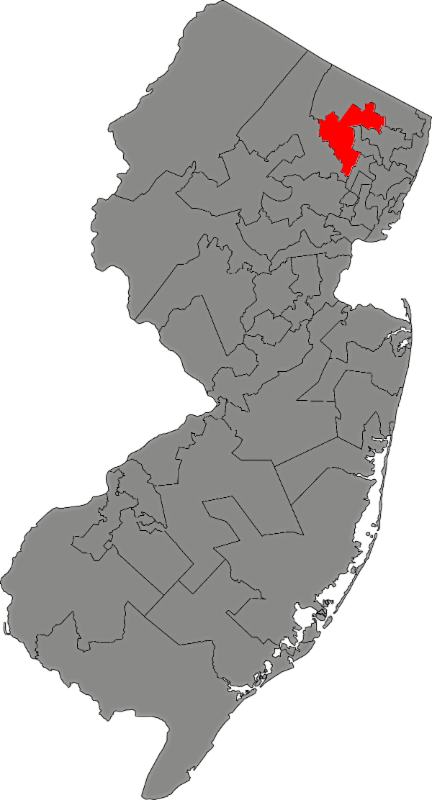 Flash floods from multiple storms damaged hundreds homes and numerous businesses during the month of August in New Jersey. Some have still yet to return home, while others continue to assess the damage. 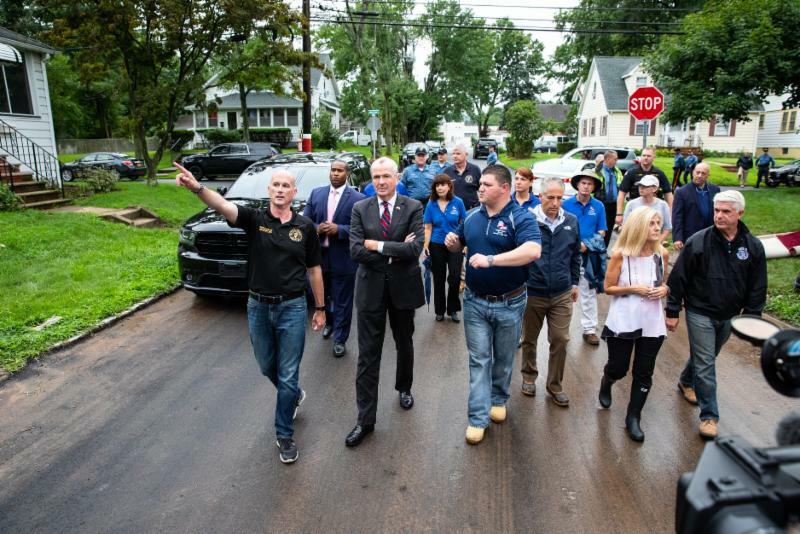 Governor Murphy declared a state of emergency in Bergen, Essex, Monmouth, Ocean, and Passaic counties. The recovery process is long, but my office is here to help every step of the way. The most important thing you can do is reach out to your community and to resources to request assistance. Funding may not be available yet, but support is here for you. Please visit our webpage to read more about flood relief information. ﻿ Since its inception in 2004, National Preparedness Month is observed each September . It provides an opportunity to remind us that we all must prepare ourselves and our families now and throughout the year. This NPM will focus on planning, with an overarching theme: Disasters Happen. Prepare Now. Learn How. Patriot Day is an annual observance on September 11th to remember those who were injured or died during the terrorist attacks in the United States on September 11, 2001. Many Americans refer Patriot Day as 9/11 or September 11th. Patriot Day should not be confused with Patriot’s Day , also known as Patriots Day, which commemorates the battles of Lexington and Concord in 1775, which were two of the earliest battles in the American Revolutionary War. On September 11, 2001, four planes were hijacked. The hijackers deliberately flew three of the planes into two important buildings, the Pentagon in Washington DC and the Twin Towers of the World Trade Center in New York. The fourth crashed into a field near Shanksville, Pennsylvania. Almost 3,000 people were killed and over 6,000 people were injured. It is considered to be one of the deadliest terrorist attacks in world history and one of the most devastating attacks on the United States since the Japanese attacked Pearl Harbor on December 7, 1941. We will always remember the sacrifices made for our country and our freedom. By taking part in acts of charity, service, and compassion, and by giving back to our communities and country, we honor those who gave their lives on and after September 11th. Many people will observe a moment of silence at 8:46 A.M Eastern Time. It was at this time that the first plane flew into the World Trade Center on September 11, 2001. Many people also lay flowers and wreaths on the graves of loved ones that were lost on that day. Communities all over the United States hold special events and church services on this day. You can read more about how to honor Patriot Day at the 9/11 Memorial Website. 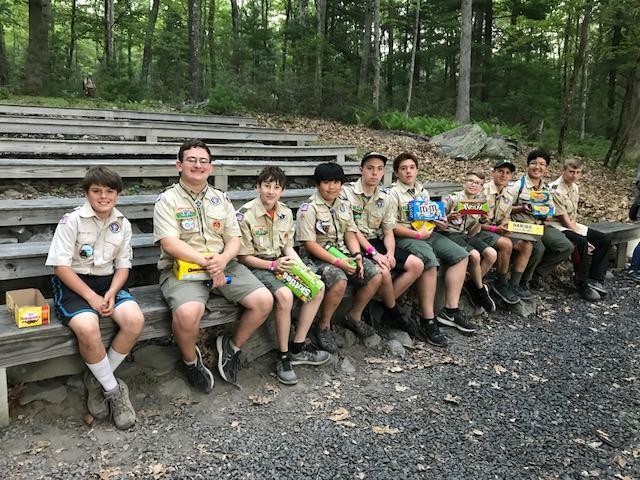 This month our Spotlight feature highlights Boy Scout Troop 14 of Little Falls. This troop has been assisting the township with collecting donations for the flood victims. This is one of their initiatives to assist the community especially during times of hardship. They have assisted during hurricanes and previous flooding in years past. 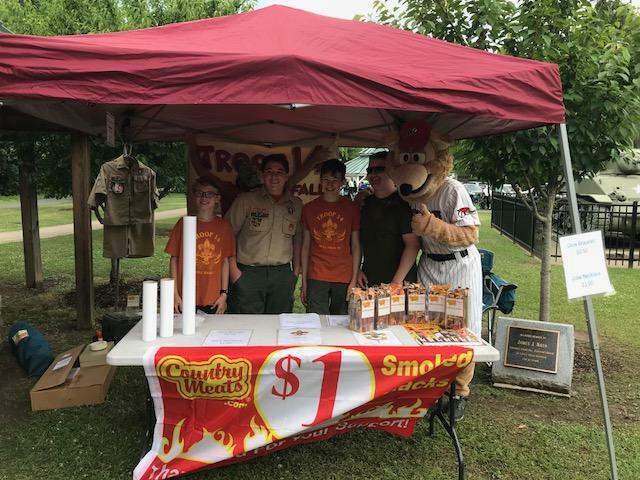 Troop 14 also recently participated in flag retirement, Memorial Day and Flag Day this year as well as the Little Falls National Night Out. The troop also lends honor guards for opening days for the various sports in town. In the near future, they will participate in the September 11th memorial observance. As a troop, they are very active in the community and are dedicated to providing assistance when ever they are needed. 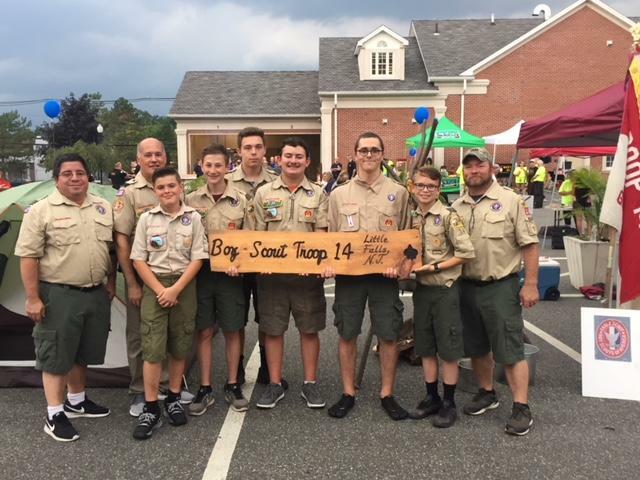 Thank you to Troop 14 for all your hard work that you do, but especially for your tremendous efforts in response to the flooding this summer!